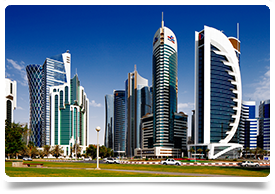 Hamad Medical Corporation (HMC) is the premier provider of secondary and tertiary care in Qatar and manages three general hospitals, nine specialist hospitals as well as operating the National Ambulance Service. HMC is committed to providing world-class quality patient care in a safe and healing environment. As the first public healthcare system outside the United States to achieve simultaneous Joint Commission International (JCI) accreditation for all its hospitals, HMC is also the first hospital system in the Middle East to achieve institutional accreditation from the Accreditation Council of Graduate Medical Education - International (ACGME-I).